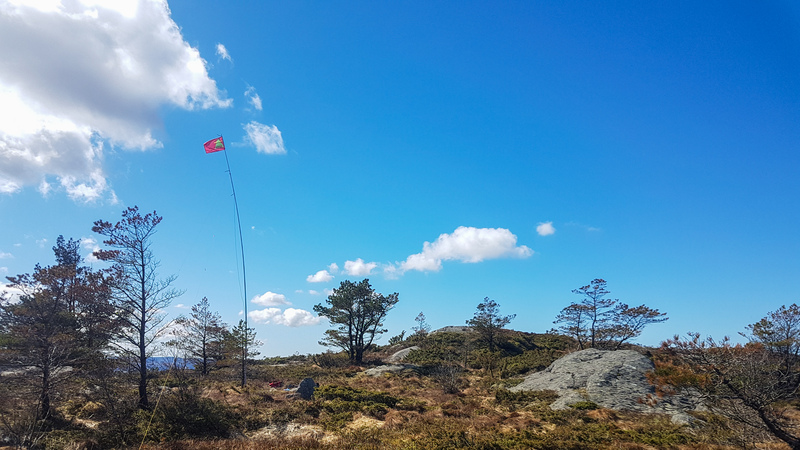 This year it’s 10 years since the SOTA program started in Norway, and we invite everyone to take part in our activity day on April 29th. Stations will be active throughout the day, but primarily around 11 UTC and onwards. We hope for many S2S contacts and many chasers! I think our activation teams will definitely manage to activate 10+ summits around the country and it will be nice chance to log LA10SOTA this day. We will also try to be active on the bands which are not often used for SOTA. 73 de LB8CG and LB4FH. Hi, Sylvia. I am organizing group activation for our local Oslo club at activity day and will use most likely LA4O call sign, hope you and Peter will be able to log QSO with us! You are very welcome to Norway, sure you will not regret the visit. There are a lot of non-activated tops which wait for the activator :)! 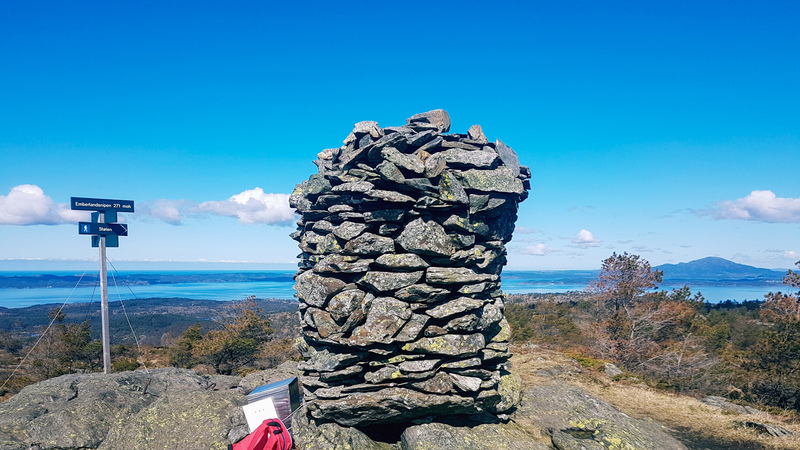 Let me know if you will be in area around Oslo and need some company in a hike! Do you have any plans for where you are going? Since we have already been to the Southern and South Western parts of Norway we are planning to travel up to Trondheim along the Eastern part of Norway and then on to Bodo (and maybe the Lofote islands) but it all depends on the weather. We’ll most probably arrive in the Oslo area in the second week of July and head back around the second weekend in August. We’d certainly enjoy meeting and/or activating a summit together! In the meantime, we’ll hope to catch you on the air! I would certainly love to travel to that part of the country myself, but it’s very far from where I live (near Stavanger). I hope to get a chance with nice WX to get to Galdhøpiggen, but that’s probably as far North as I’ll go. Hopefully we’ll get some QSO’s before then, and certainly on the 29th I got some first activations lined up for that day, my plan is to camp on one summit, then move to a second summit since we have planned a late activation (11 UTC). Let’s hope for good propagation! Great Should be lots of chances to do S2S contacts then. Looking forward to it. Will LA stations be posting alerts on Sotawatch ? Will LA stations be posting alerts on Sotawatch ? The date proposed for this event in this post is this Sunday. I have not seen anything further since the last post, so is this event going ahead? Hi, everything is in force, we created event in some relevant facebook groups and about 8-10 persons are going to activate SOTA tops in Norway tomorrow. I organized joint activation for my local ham group (LA4O) and we will be at LA/BU-125 and will try to activate on some bands at the same time with main focus on 20, 40, 80m bands, we will also give a try on 30m/15m/12m/2m. Most operators will run SSB, I will run CW a little bit as well. If you interested we can try to schedule qso on 60m. 8-10 persons are going to activate SOTA tops in Norway tomorrow. Look forward to catching some of you tomorrow! Many thanks for the update, and looking forward to the activations. Thanks for all the 20M LA activity today and thanks for the great propagation!!! Excited to have worked LA4O, LB8CG, and LB1DH. Today I activated with LM10SOTA/P from LA/HL-186 Emberlandsnipen. Beautiful WX and good conditions on the bands with got 30 QSO’s, with 9 S2S. Thanks to all chasers and other summit operators. Thanks for the activations today. I managed to chase only 3 of you activating just 2 different summits, but propagation conditions are really tough with severe QSB and I’m happy for having been able to participate from my side on the celebration of 10th LA SOTA anniversary. Thanks a lot for the activity! Oooops, sorry, but it’s correct in the log!